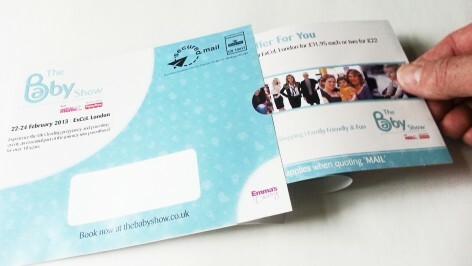 We produced a one piece ‘Pull Out’ direct mail leaflet for The Baby Show. The pull out mailer is a creative, interactive and remarkably cost effective direct mailing choice for many of our customers seeking an out of the box solution from a UK printer. It features a novelty design that includes a tab that can be pulled on one end to pop up a card. It’s a great way to advertise products and/or services as it promotes better brand recall and leaves a great lasting impression to recipients. Purple is not your typical local printing company. We don’t simply carry out the production of your printed job and wish you luck. We like to help make sure it delivers your message effectively and generates the desired result. A pull out mailer is definitely not something one handles and throws away, right? This explains why this is one of the most sought after printed formats for many of our UK customers. It’s the practical promotional marketing material that can compliment different products, businesses and events. At Purple, we love to give you the winning combination of both form and function. No other printers in the UK can match our commitment to add value to your bottom line. So what’s your vision? Allow us to breathe life into it in full vibrant colours! We work with your targeted end results in mind. 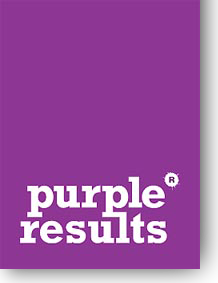 Purple possesses extensive experience in creating and printing highly successful direct mail campaigns for small businesses all over the UK. If you are looking for a local printing company with proven results, we are the perfect choice. Our print solutions are designed to grab attention as well as dramatically enhance consumer readership, which translates into double — even triple digit response rates. Get in touch with us today and find out how our local printing company can make a massive difference and drive value for your next marketing campaign.